Description: Union columns converged on Petersburg on April 2. part Mile’s force struck north from White Oak Road meeting elements of four Confederate brigades (Cooke, Scales, MacRae, McGowan) attempting to defend the South Side Railroad. 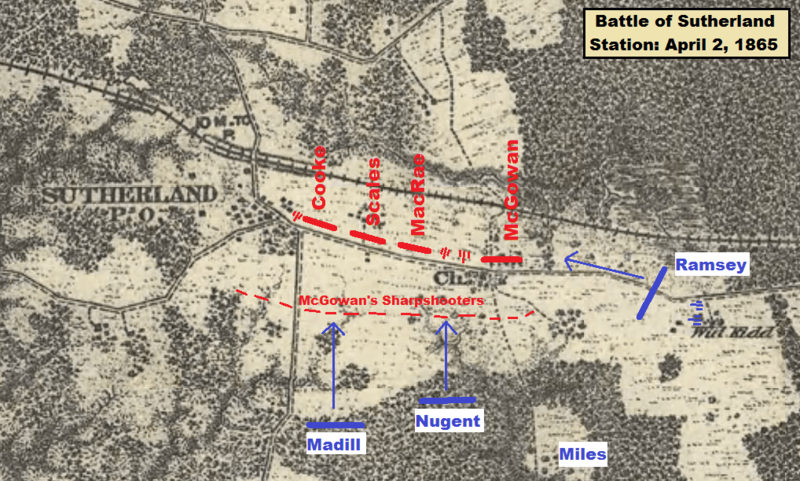 The Confederates placed their left flank on Ocran Methodist Church, where it was overrun by three Union brigades commanded by Miles. The Confederate defenders were scattered and driven northwestward. With this victory, the Federals possessed the South Side Railroad, Gen. Robert E. Lee’s last supply line into Petersburg. 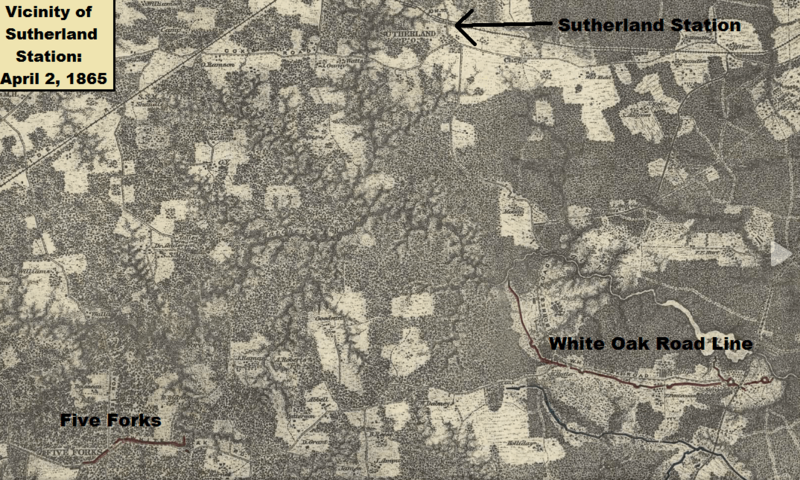 I’m assuming my 2 x great-grandfather, Corporal David Land of Co.I 13th NC Infantry, was probably in the fight at Sutherland Station. His P.O.W. record says “captured on the S.S. railroad.” Would that be a safe assumption ?